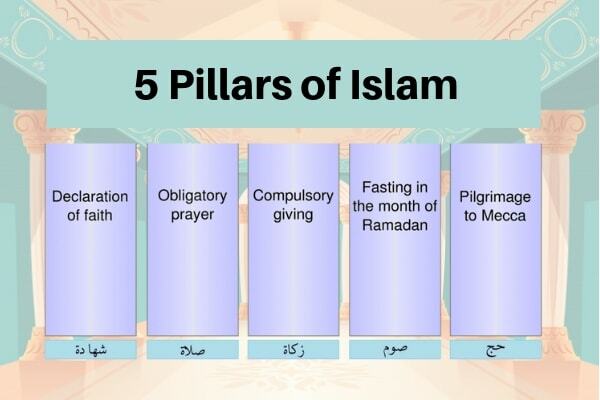 There are five things that complete the Muslim life, yes these 5 Pillars of Islam is the complete structure of Momin Muslim. Almost as soon as the Arab Islam armies surmounted new lands, they started erecting Masjids and palaces and doing other works of art as lexis of their culture and faith. A lot of aspects of sacred practice in Islam also came out and were codified. The sacred practice of Islam, which accurately denotes ‘to submit to Allah,’ is based on principles that are recognized as the five pillars of Islam, Arkan, to which all the members of the Islamic community, ought to adhere. The Shia and Sunni agree on the necessary details for the practice and performance of such acts, but the Shia don’t refer to these by the same name. They structure Muslim life, concern for the needy, prayer, the pilgrimage and self-purification if one is capable. 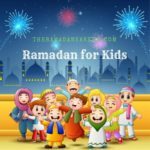 Self-purification through fasting in Ramadan. The Hajj to Mecca for the ones who are able. Implementing these obligations offers the framework of the life of a Muslim, and weaves their daily activities and their faiths into a single cloth of religious commitment. No matter how genuinely an individual might believe, Islam regards it as meaningless to live a life without putting that belief into practice and action. Carrying out the 5 Pillars shows that the Muslims are putting their faith first, and are not just attempting to fit it in around their secular lives. 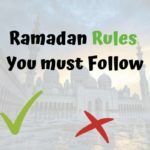 The terminology shahadah denotes a declaration of faith; verification to the belief that there’s no God but Allah and the Prophet Muhammad (PBUH) is His final Messenger; a deliberate declaration that you’re a Muslim and a proper follower of Islam. It’s the most significant pillar as it’s the first submission to Islam. The shahadah is also the initial act of submission done by reverts to Islam as a declaration and commitment of their belief. The declaration ought to be recited genuinely three times with pure and full intention. All the Muslims are expected to pray 5 times every day. It doesn’t denote that they have to attend a Masjid to pray; rather, the Namaz or salat ought to be recited 5 times every day. All the Muslims can offer salat anywhere; however, they’re destined to pray towards Mecca. The true pray by bowing numerous times while standing and then kneeling down and touching the floor or prayer mat with foreheads, as a sign of their submission and reverence to Allah Almighty. On Friday, a lot of Muslims attend a nearby Masjid midday to pray and to listen to a khutba (sermon). Everything belongs to Allah, and prosperity is therefore held by individuals in trust. The original meaning of zakat is both growth and purification. Giving zakat denotes giving a particular percentage on certain possessions to certain classes of people in need. The percentage which is payable on silver, gold, and cash funds that have made to the amount of about eighty-five grams of gold and held in possession for a lunar year is 2.5 percent. The properties are purified by saving a small fraction for the people in need, and, like the pruning of plants, this reining in balances and push new growth. An individual may also provide as much as he or she wants as voluntary charity or alms. 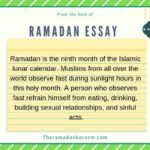 Throughout the daylight hours of the holy month of Ramadan, the 9th month in the Islamic calendar, all the fit adult Muslims are needed to abstain from drink and food. Through this short-term deprivation, the Muslims renew their consciousness of and thankfulness for everything Allah has given in their lives, including the Holy Qur’an, which was initially revealed during the holy month of Ramadan. During this holy month of Ramadan, all the Muslims share the thirst and hunger of the people in need as a reminder of the religious responsibility to assist the less fortunate individuals. The 5th pillar of Islam is the pilgrimage or Hajj to Mecca throughout the first ten days of the month of Dhu al-Hijjah (from the Islamic calendar). 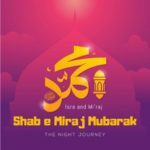 Each Muslim who is financially and physically capable of making this trip and doing the prescribed rites is needed to make the pilgrimage or hajj. The 9 necessary rites of the hajj or pilgrimage are the putting on of the Ihram (the unsewn fabric representing the equality and humility of all the faithful believers), circumambulation of the Holy Kaaba, standing at the Arafat plain, splurging the night at Muzdalifa, flinging stones at 3 symbols of Satan, sacrifice of a goat, cow, or a camel at Mina, carrying out the circumambulation of the Kaaba again, having some water from the Zamzam well, and performance of 2 cycles of prayer at the Abraham Station. 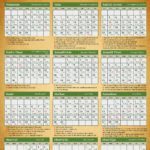 Cheap and Affordable Umrah Packages are listed here. The Hajj or pilgrimage cannot be measured complete without carrying out all of the needed rites, but the hajji or pilgrim have to disburse expiation for the failure to carry them out. Throughout the pilgrimage or hajj, the hajji or pilgrim is to stay away from thinking about anything but the remembrance of Allah and the rites of Hajj or pilgrimage, since the circumambulation of the Holy Kaaba, represents the believer’s entrance into the delightful presence. The 5 pillars of Islam have been made by Allah, and every Muslim is needed to have faith and act according to these pillars. They’re practical as well as simple, and the wisdom and blessings behind them are many. When put into perspective, they add to the good of both society and the individual, improving the manners and character of the person, and making both individuals and society answerable and closer to Allah. These righteous pillars of Islam are purely for the advantage of His creation, as Allah Almighty is free of all requirements. These 5 pillars offer a solid structure and training programme for the success and betterment of all humanity. Here is the complete information about the 5 Pillars of Islam in 2019 in English Urdu Arabic.